Bird's Eye View of Toms Brook, VA, Looking North, and Showing Round Hill in the Distance with North Mountain to the Left. 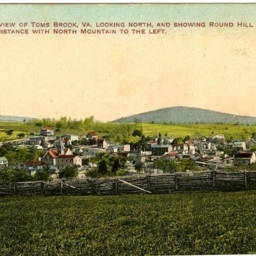 Color postcard with a picture of Toms Brook Virginia and surrounding landmarks. 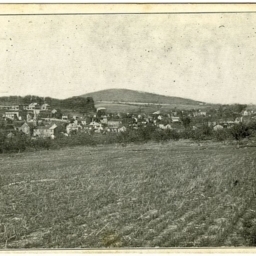 Postcard with a picture of Toms Brook Virginia taken from the south and showing portions of the landscape.